Tennessee has long believed that an annual statewide assessment is central to student achievement growth. When Tennessee aligned annual assessment with our high academic standards, we saw unprecedented growth in student achievement. Recently, we have been discouraged by calls to pause or stop Tennessee’s annual assessment. Although there have been significant challenges, now is not the time to turn back. It is time to refocus attention on ensuring seamless implementation. This month I am giving over my letter to SCORE Chief Strategy Officer Dr. Sharon Roberts, who has devoted her entire professional career to providing better outcomes for students – as a teacher, principal, administrator, superintendent, and advocate for students. Please read and think about Sharon’s thoughtful insights, first published in The Tennessean, into the value and importance of statewide assessment for educators, parents, and most importantly, students. I am proud to be a lifelong Tennessee educator who has served as a classroom teacher, instructional coach, school principal, and district superintendent of schools. More recently, as the Chief Strategy Officer for the State Collaborative on Reforming Education (SCORE), I have the privilege of working with teachers and district leaders across our state to accelerate Tennessee’s incredible momentum in student academic achievement. I have spent my career working with Tennessee’s dedicated educators and parents to help our students learn and succeed. So I genuinely understand and underscore the frustrations felt by so many over the delays, disruptions, and disappointments schools faced during this spring’s administration of the TNReady student assessment. Tennessee students, teachers, and parents work much too hard for their efforts to go unrecognized through an annual assessment. From my personal experience, I know an annual state assessment that is implemented well tracks their progress and informs them of the achievement and needs of every student. We must take every step to make sure statewide assessment goes smoothly and correctly. Getting it mostly right is never going to be acceptable. But I am troubled by calls from key leaders for a “pause” or elimination of Tennessee’s annual statewide student assessment. 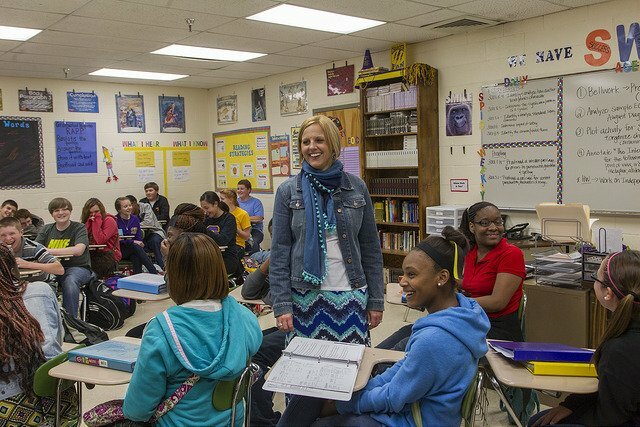 During my 35-plus-year career, Tennessee has always invested in assessing students. Finally, teachers have an assessment with content aligned to the higher Tennessee standards they use in class every day. The value of assessment is substantial. And as someone who now works for a research and advocacy organization, I could highlight the value of an annual assessment by calling out the importance to parents, teachers, and school administrators of knowing how well their students are doing. And I could note the assessment provides a gauge of how our teachers are doing and how we can better support them in their work with students. I could also tell you that the accountability system we have in place ensures more students learn at higher levels and identifies schools that are doing well and those that need more supports. And I would be remiss if I did not note that the understanding we gain from the annual assessment can zero in on the needs of historically underserved students. But I have personal experience with the value of assessment as an educator. I remember when there were no state standards and I taught primarily from a textbook. I gave tests unaligned to what I was teaching — and I found no value from the results. I remember when I was unable as a school leader to use the data on students and teachers in any meaningful way and how difficult it was to explain to parents how to help their children succeed. I now have the privilege of working with courageous educators across the state who teach with strong Tennessee standards and are hungry for the data from a well-implemented, aligned assessment to decide how to improve instruction. With the assessment and accountability system, Tennessee students have achieved unprecedented academic growth that outpaces most other states. Let’s stop talking about pausing state assessment and instead come together to work through the test administration problems so Tennessee stays on the path that made us the fastest-improving state in student achievement. Pushing pause on annual assessment would be a big step backward for children and for Tennessee. If anything, our students deserve leaders at all levels who will work to ensure a seamless administration of an assessment of what they are learning. Student-centered instruction, testing, and accountability done right help more Tennessee students learn and achieve at higher levels. Assessment gives educators information that they can use to improve instruction. And assessment gives families the information they need to better support their children’s success in school, in college and career, and in life. All Tennesseans need to know how our students and schools are doing. Few things are more important to our children, our state, and our future.